Mental_floss is what you call a general knowledge blog. Sure, we lean toward the type of content that educates, but the subject matter covers a wide variety of topics: science, history, entertainment, art, food, sports, literature, language, and lots of trivia. We're glad you come here for ways to stretch and feed your brain. But every once in a while, it's nice to discover new sites that are more specialized, some that delve deep into a specific subject or others that feature goofy pictures on a theme. Every once in a while, I dig up some of these "niche" blogs that you might get a kick out of. Here are eleven more of them. 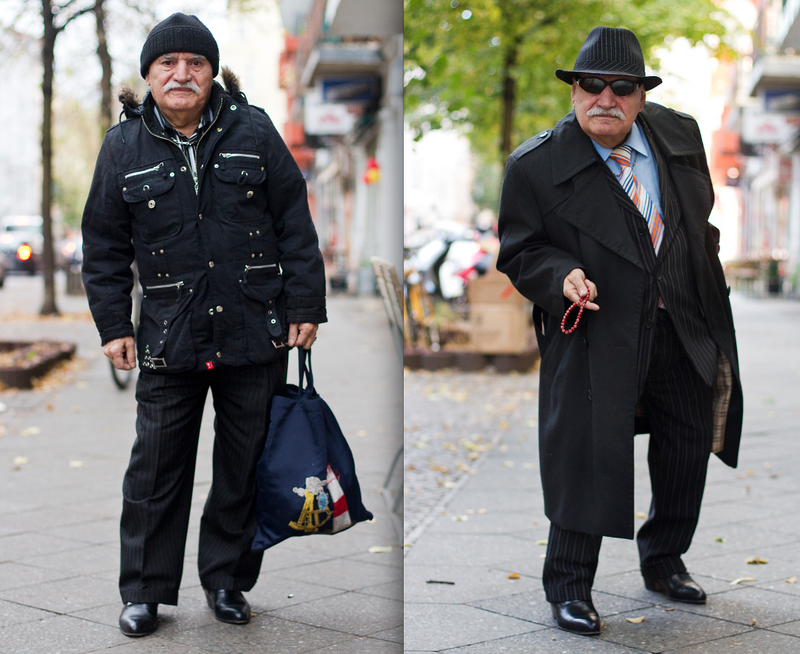 Ali walks past the cafe in Berlin where photographer Zoe Spawton works every day at 9:05 AM. Zoe admired the varied and dapper outfits that Ali wore, and finally worked up the courage to ask for a picture. Ali agreed, and a blog was born. Later, Zoe found out that Ali is from Turkey, has lived in Berlin for 44 years, has 18 children, and was a doctor until he retired and became a tailor. Many awesome pictures of Ali and his outfits followed, which you'll find at the Tumblr blog What Ali Wore. The Ensemble Studio Theater of Los Angeles has a Tumblr blog starring an action figure of Dr. Beverly Crusher, a character from Star Trek: The Next Generation. The doctor is shown in various situations, from riding a cat to mooning over Captain Picard. Gates McFadden, who portrayed Dr. Crusher, is the Artistic Director of the theater. 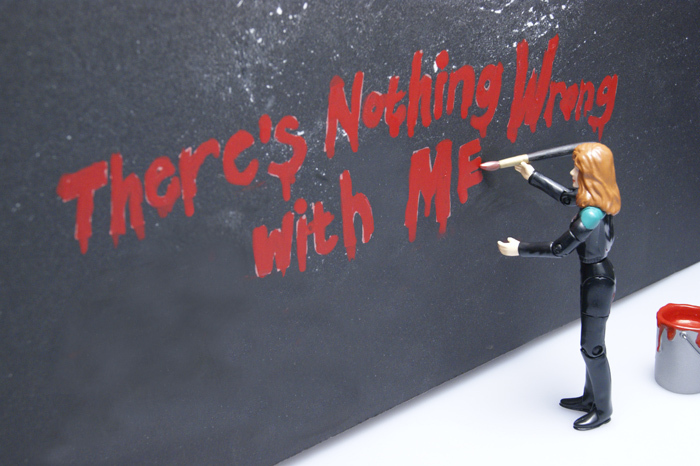 The blog Put A Poe On It is a tribute to the genius of Edgar Allan Poe. Sort of. 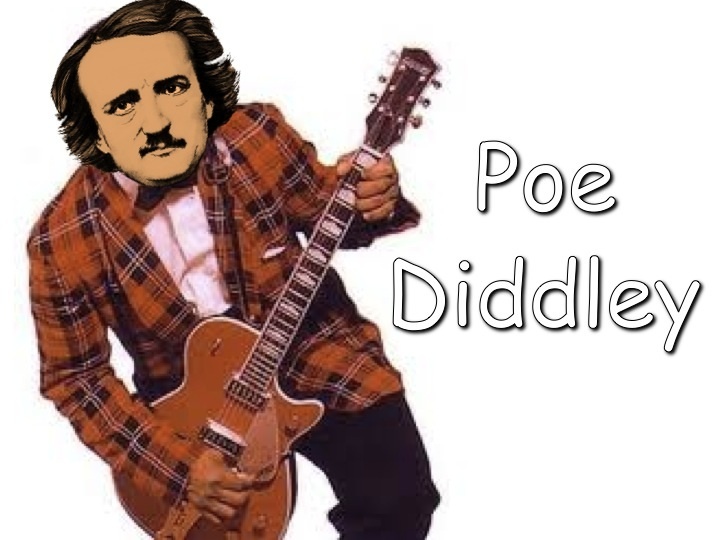 Well, no, actually, it's a tribute to puns that can be made on the Poe name and the Poe face. Think of a funny place where Poe's name could go, and chances are someone has already put a Poe on it somewhere in the archives. But if not, you can make your own and submit it. Research in Progress is a blog of gifs that scientists and other academics will relate to, each illustrating a frustration one must endure. That doesn't mean the rest of us won't understand -in fact, many of them will probably relate to your life, even if you're not a post-doc. A couple of my favorites are We regret to inform you that your paper has not been accepted and We are pleased to inform you that your paper has been accepted. The image shown here illustrates Theory vs. Practice. 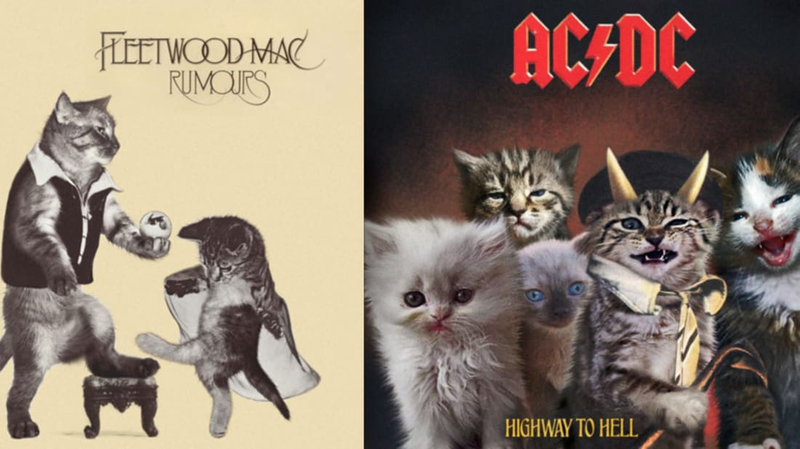 How can we improve on classic record album covers? By putting kittens on them! 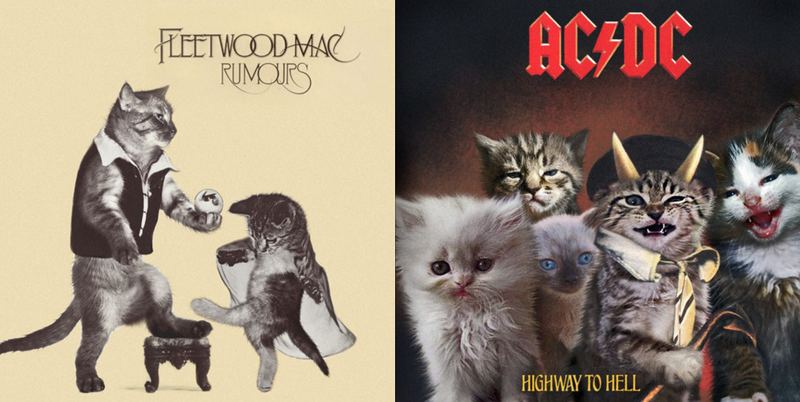 The Kitten Covers does just that. All covers are the work of Alfra Martini. Since there are so many cat photos on the internet, you can find one to resemble just about anything else. 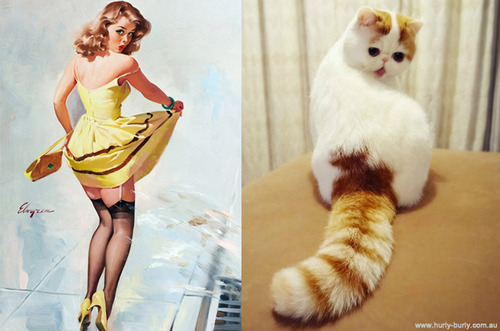 That's the premise behind Cats That Look Like Pinup Girls. Classic girly illustrations are matched with a corresponding cute cat. It's hilarious, but due to some art nudes, this site may be NSFW. That idea works for men's pictures as well, as illustrated at the blog Des Hommes et des Chatons. 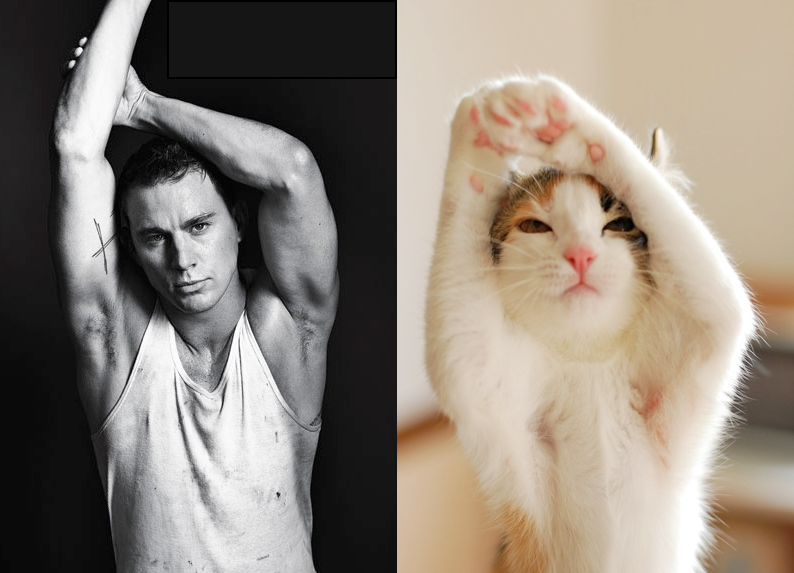 Each entry pairs a model, movie star, or other nice image of a man with a cute cat that either wears the same clothing, does the same gestures, or has the same facial expression. If you look through far enough, you will eventually run into photos that are NSFW. Have you ever noticed those occasions where two people are going to congratulate each other, but one aims for a high five, while the other offers a handshake, fist bump, hug, or even just ignores the gesture? Or if you both go for a high five and just plain miss each other's hands - well, that's awkward. Missed High Five is a repository of those moments in gif form. The blog didn't last long, only two months, but it remains as a record of the funniest missed connections. The high five shown here actually connected, but this fellow's foot missed the step he was standing on! 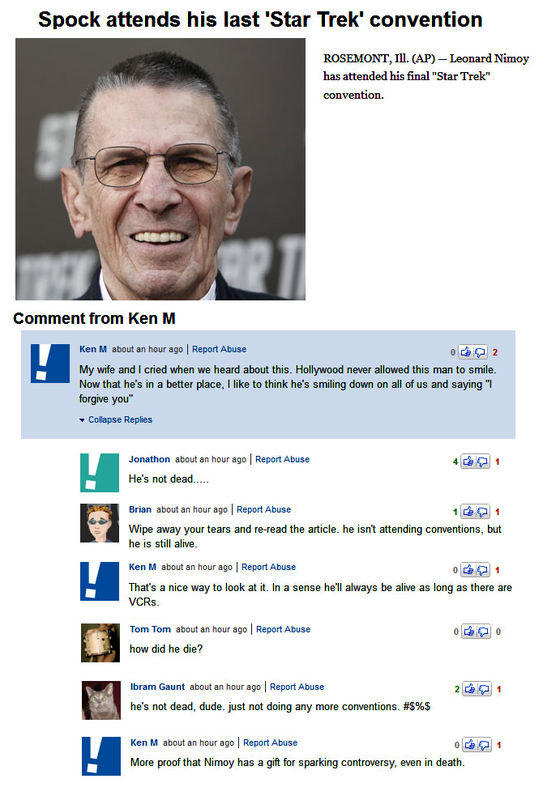 Ken M. is a master comic troll, leaving the oddest comments all over the web, collected here on the blog Horsey Surprise. He also occasionally posts them at College Humor. Study his methods, and you'll be able to recognize him when his nonsensical comments show up elsewhere. Despite 70 years of Lois Lane, some folks are still surprised that women can be journalists, while others ignore the fact that they are being quoted. 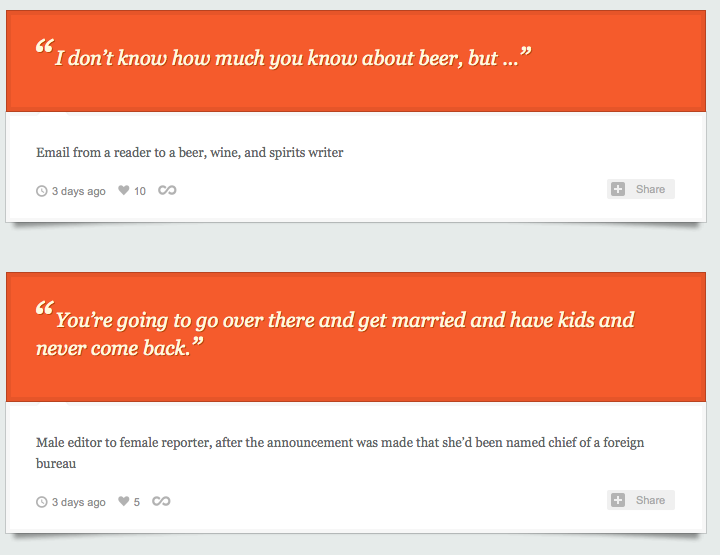 The blog Said to Lady Journos documents the dumb things that come out of the mouths of newsmakers being interviewed. No names are attached, to protect both the speaker (who may be well-known) and the journalist (who could get in hot water for submitting these). I've done news reporting before, and I would bet that every woman who's been in the business for even a short time has stories like these. 11. Superheroes are for girls, too! Who doesn't aspire to be a superhero? Super strength, the ability to fly, and adventure are things everyone wants! The blog Superheroes are for girls, too! has pictures and stories of young girls as comic book, movie, and TV heroes who fight for truth, justice, and a really cool costume. 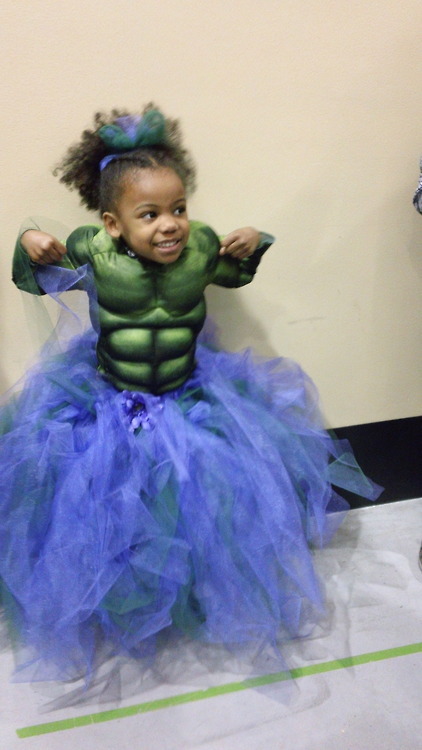 And as this picture shows, you can be a Hulk and a ballerina at the same time!